ELZABURU, Intellectual Property: New customs agreement between the EU and China: What does it mean for trademark owners? New customs agreement between the EU and China: What does it mean for trademark owners? China and the EU have signed a landmark mutual recognition agreement on customs cooperation. Its main goal is making the customs procedures easier, cheaper and faster for trusted traders. Two other initiatives which complement this agreement have also been signed, namely a new Strategic Framework for Customs Cooperation and a new EU-China Action Plan on Intellectual Property Rights. The “trusted traders”, also known as “Authorized Economic Operators”, have been present under EU customs regulations since 2008 and enjoy simplified customs procedures if they manage to prove that they are safe, reliable and compliant with security standards. In other words, the trusted traders go through fewer and quicker customs checks when entering or exiting the European Economic Area (EEA). China is not the first country to sign such an agreement with the EU; there are mutual recognition agreements already signed with countries such as the US (2012) and Japan (2011), but the addition of China makes the EU certified trader system the most widely accepted in the world since there are currently around 15,000 companies listed as safe traders (for more information see the European Commission's press release here). There is a more important point to be considered though. China has a reputation of a country where a lot of infringements of IPRs are being committed every day. However, on 1st May 2014 a new Trademark Law has come into force (for details on the amendments, see our previous blog post here) which is supposed to strengthen the protection of trademark owners against infringements and bad faith applications. We are still to see how exactly it will be implemented in practice, but the combination between the new Trademark Law and the recently signed customs agreement, definitely means good news for trademark owners! Our experience in China has proven that European trademark owners sometimes have more problems with trademark squatters rather than infringers. The reason behind this is simple – the widely established practice of European trademark owners to manufacture their goods in China without registering their trademarks there and later sell them on the European market. What happens then? A Chinese company simply goes to the SAIC and registers the European trademark without any problem since the Chinese trademark system is a first-to-file one. Then, they also register the trademark with the Chinese customs (GAC) and when the European owner tries to send his/her next shipping to Europe, the goods are stopped at customs for infringing a Chinese registered trademark. From here onwards, there are basically two options and neither of them is good – pay a subordinate amount of money to buy our own trademark or go to court / TRAB. Maybe the most common route chosen by European trademark owners is to try to cancel the said registration on grounds of bad faith or non-use after the first three years from registration. In this case, the biggest problem faced by the rightful owner is to prove the use or at least some influence of the trademark on the Chinese market. 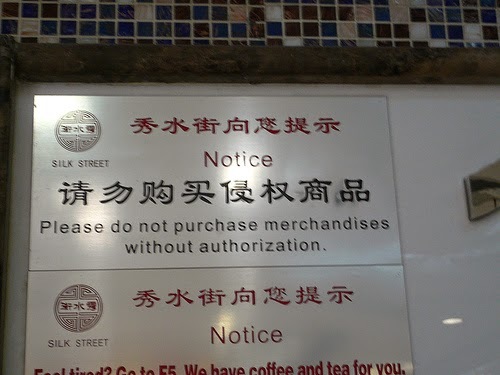 However, this is quite difficult if not impossible, because manufacture only for export is not usually considered as actual use of the trademark (there is no precedent in Chinese judicial system, so Chinese courts are not obliged to follow previous decisions even if there are such) and only extremely famous trademarks have been recognized by the courts when they had not been used on the Chinese market. With the strengthening of the good faith requirement in trademark registration and use by the new Chinese Trademark Law and the mutual recognition agreement with the EU, the cases mentioned above should decrease. Not only because of the protections offered by the Law, but also because the enhanced customs cooperation will ease the fight against squatters by recognizing the European safe traders in China and maybe motivate EU companies to register their trademarks in the country in order to be fully protected. This way, Chinese customs will be able to dedicate much more resources to the high-risk traders and fight against infringements more efficiently. While the Chinese IP-related legislation and the actions of the authorities is improving more and more every time, we should be conscious of the dangers that still exist and align our IP strategy in accordance to them. For the common person living in China, the efforts of the Chinese authorities are almost invisible, which once again shows the scale of the infringements and the enormous amount of resources and time which have to be put into this fight. If a trademark owner is manufacturing, using or planning to use his/her trademark on the Chinese market, his rights should better be registered before starting any commercial or other activity in China. In case the owner has already entered the Chinese market, it is highly advisable to register the trademarks as soon as possible.